Is Peace of Mind A Service? We think so. We’re confident you’ll have such an outstanding mortgage and home loan experience that you’ll want to tell your family and friends. A mortgage isn’t a one-time arrangement; ideally it’s the start of a long-term relationship. As your life changes, we look forward to being your partner along the way. Primary Residential Mortgage is a respected, nationwide mortgage lender. As a direct lender, we control the entire home loan process, in-house, from start to finish. Having funded more than 100,000 home loans during 10 years in business, we have the strength and experience to get your home loan done and make your dream a reality. We are located on Kiernan Ave in Modesto California. Your branch team members live in your area. They shop at the same stores. Their kids go to the same schools. In short, our branch is knowledgeable about the local market, while we enjoy the backing of a nationwide mortgage lender— this means you get strength and flexibility when it comes to your loan. 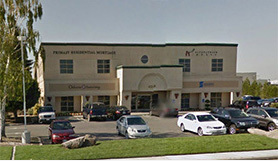 Loan Products: Our Local Modesto Branch offers in-house processing and underwriting. From start to finish, your home loan is backed by the latest automated technology. This means your home loan flows through an efficient process and helps you get to closing on time. You’ll enjoy knowing your home loan is in an efficient, organized, and secure system. If you’re too busy to stop in at our local office on Kiernan Ave in Modesto—the answer to your mortgage financing needs is a phone call or click away. Our loan officers can help you compare products and rates instantly with our customized loan product search engine that lets you see up-to-the-minute updates in an ever-changing market.